If you’re looking for a stereotypical macho sport, you don’t have to search further than rugby. A full-contact sport – without much protection – it’s got everything: brutal tackling. Dirt and mud. Plenty of parties. But here’s the interesting thing. Those post-game festivities include both teams. Players sing bawdy songs – but with plenty of mutual admiration. Winners and losers gather together, showing respect on both sides. That respect for opponents – for everyone in the rugby world, really – is one reason that the sport is so gay-friendly. Referee Nigel Owens came out in 2007, nearly a decade ago. Player Gareth Thomas came out in 2009; he was soon voted the most influential gay person in the U.K. There are other gay professional ruggers too. The first gay rugby team – London’s Kings Cross Steelers – was founded 25 years ago. Today, there are more than two dozen gay rugby clubs. Some are in places you’d expect. Others might surprise you. So it should not come as a surprise that USA Rugby – the sport’s national governing body – has taken a lead in the fight against homophobia. Last month the organization signed a “memorandum of understanding” with International Gay Rugby, formalizing a partnership to promote a diverse, inclusive environment at all levels of the game. The announcement follows a similar agreement in March. At that time, IGR said it would collaborate with World Rugby on “the promotion of equality and inclusivity” around the globe. The agreement with USA Rugby specifically ensures that American players are provided with the tools and education necessary to combat discrimination, whether based on sexual orientation, perceived sexual orientation or identification. “USA Rugby recognizes the right of any player, official, coach and spectator to be involved in rugby without bullying, discrimination or exclusion of any kind, and celebrates the differences that make its members unique,” the official statement said. International Gay Rugby is one of the most active LGBT sports associations on the planet. Its 56 members clubs in 15 countries receive developmental support and resources. IGR clubs play each other (and straight clubs), and host regional, continental and global tournaments and events celebrating diversity and inclusion in the rugby community. The flagship event is the Mark Kendall Bingham Memorial Tournament. Named after the gay rugby player who was a passenger on United Airlines Flight 93 on September 11, 2001 – and who helped lead the resistance against the hijackers that crashed the plane in Pennsylvania, before it could be flown into the Capitol or White House – the next competition is set for May 22-29, 2016. There will be 1,500 players, on 45 teams. The tourney will be played in Nashville – the first time ever in the Mid-South, and the first time since 2010 it has been held in the U.S. The Grizzlies are hosts. The upcoming tournament marks nearly 15 years since Mark Bingham’s heroism. At the time, the idea of a gay rugby player was novel. But as the world realized what transpired on board the plane that horrific morning, one athlete’s sexuality seemed far less important than the sense of purpose – and teamwork – of all the passengers who stormed the cockpit. That camaraderie seems to be an important aspect of what makes rugby such an appealing sport to all who play it – gay and straight. 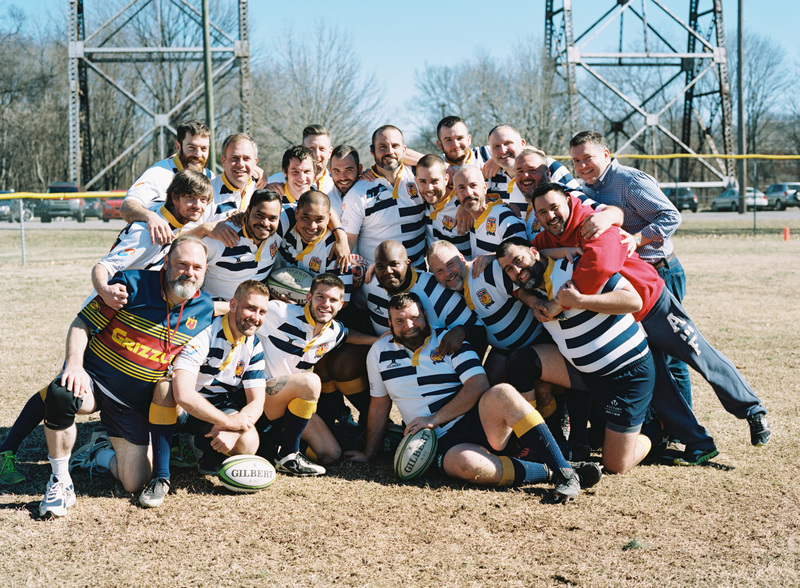 But just because the Grizzlies’ experience has been so positive – and even though both USA Rugby and World Rugby are committed to inclusion and diversity – work remains to be done. There are still pitches where anti-gay slurs are used. Some ruggers still resent gay athletes. That’s why the official statements from governing bodies – and the educational efforts that follow – are so important. The anti-discrimination policies are also intended to encourage straight players to step up as LGBT allies. They won’t be the first. The coming-out announcements of gay players so far have been met with strong support from teammates, as well as opponents. So don’t be surprised when you hear stories about rugby – one of the most macho sports in the world – embracing its gay side. Who knows? There may soon be a post-game drinking song about it too.